Living room makeover under $20! So the past few months have been a bit of a whirlwind for me. I am now a single mother of 2 kids. It's been a journey getting used a household of 3 now but it has been the best learning experience and the best rebirth for me ever. I feel free, I feel new, I feel like I can breathe again. I know this isn't the usual post that you guys are used to seeing but why not get personal right? Woman are notorious for giving themselves makeovers when they get divorced or when they have a bad breakup. I decided I wanted to give my home a makeover little by little. I started with my living room. I grabbed the kiddos on Saturday morning after my son's soccer practice and darted for Home Depot. I grabbed a long piece of wood and asked one of the workers if he could cut it in 4 pieces for me. 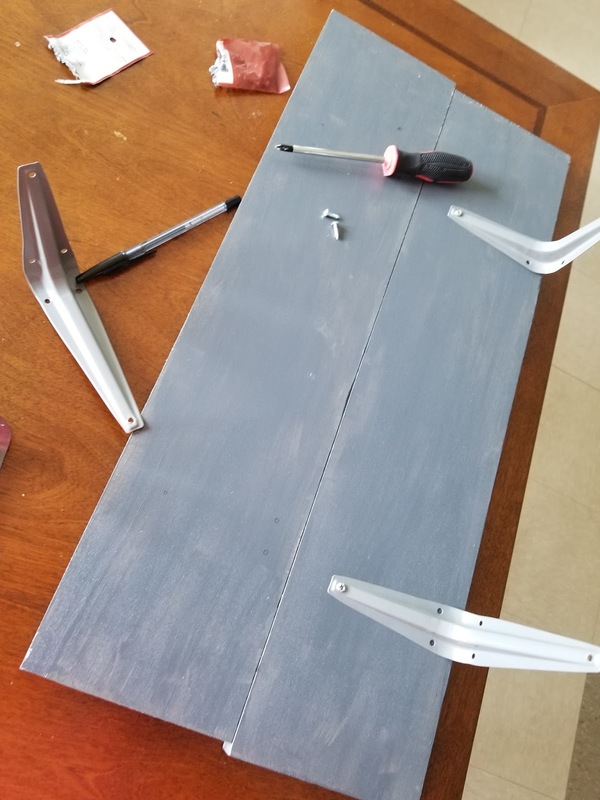 After he did that, I went and scoured the store for shelving brackets and some screws. I then made my way to the paint section. I wanted something fast. I grabbed two cans of paint. The spray paint kind. One white and another gray. 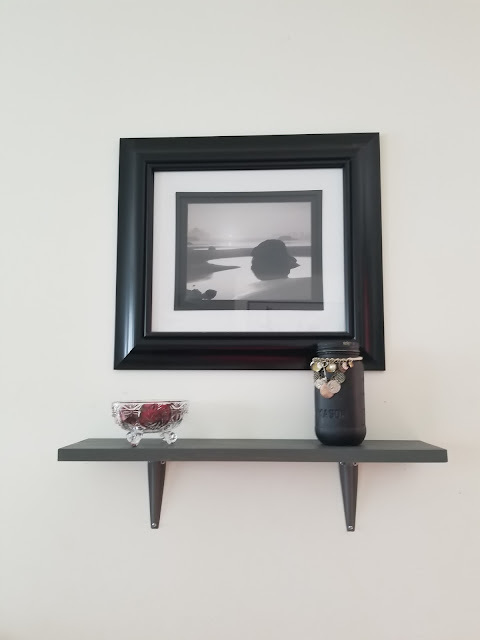 The pictures I took are of the gray shelves. Once I got home, I was in my zone. I started taking the curtains down, sweeping the floors, rearranging the furniture. Did I mention that I had new furniture delivered too? 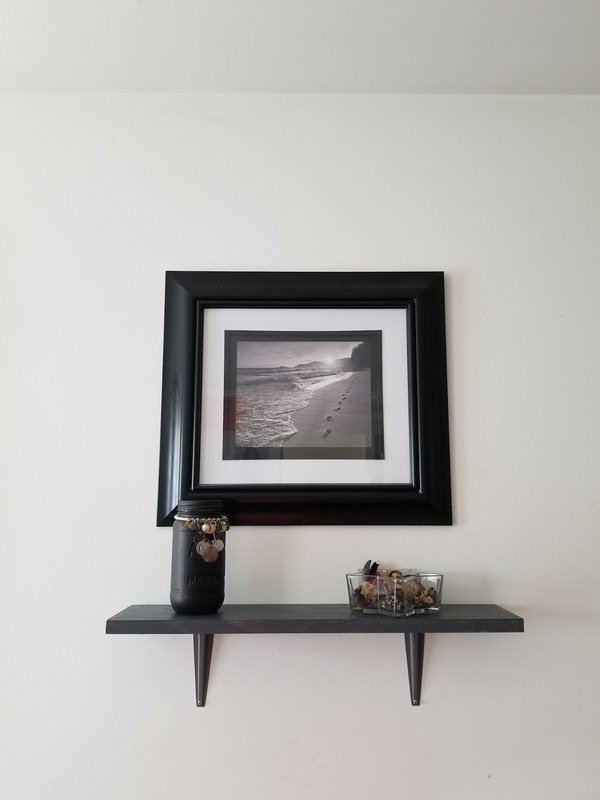 My living room was brown and beige so I wanted to go with a gray, black and white theme. I wanted a bright, clean, sleek look. A more relaxed and serene atmosphere for me and my children. I added a mason jar that I had designed a year ago with some materials. 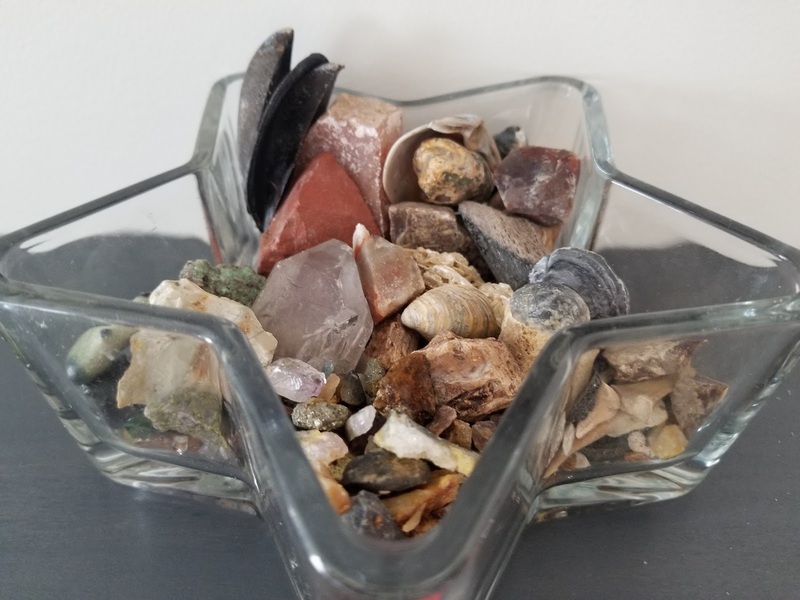 Beside it you will see a star shaped candy dish that that is filled with rocks, shark teeth, seas shells, stones, and some other cute things. I wanted an earthy touch. Here's a picture of all of the beautiful items in that star shaped candy dish. On the next shelf, I added another candy dish but this one is filled with potpourri and there's the other mason jar next to it! 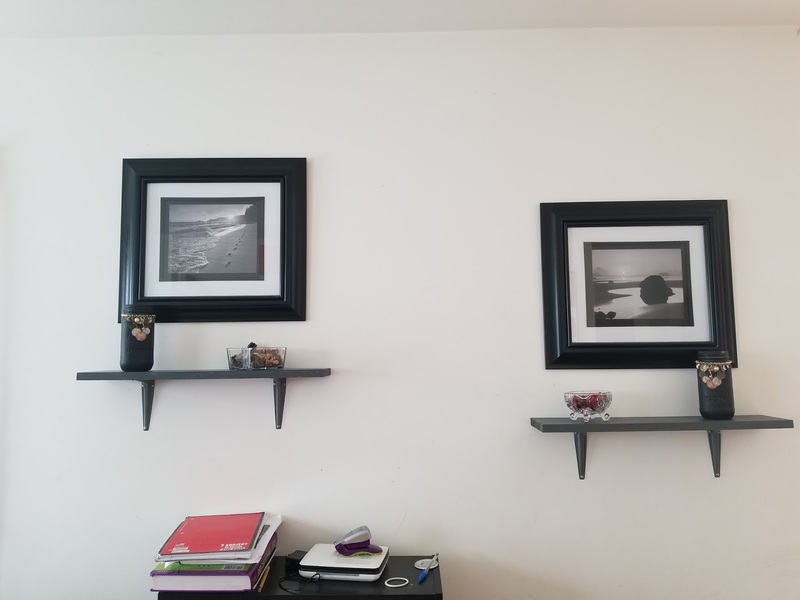 After I put these shelves up, I took in the pictures and the bright space. I was truly in love with what I had done. I then wanted to work on 2 other items and focus on the other shelf that was already up. I painted an extra mason jar and a little candle jar gray. I used acrylic paint and let it dry. The end result was beautiful. I also wanted to include our Batman Funko pops. 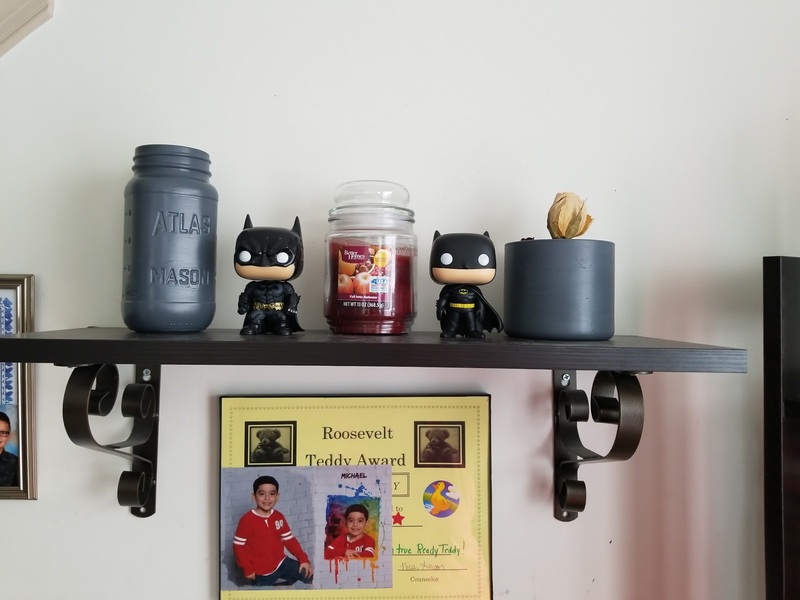 We are huge Batman fans. 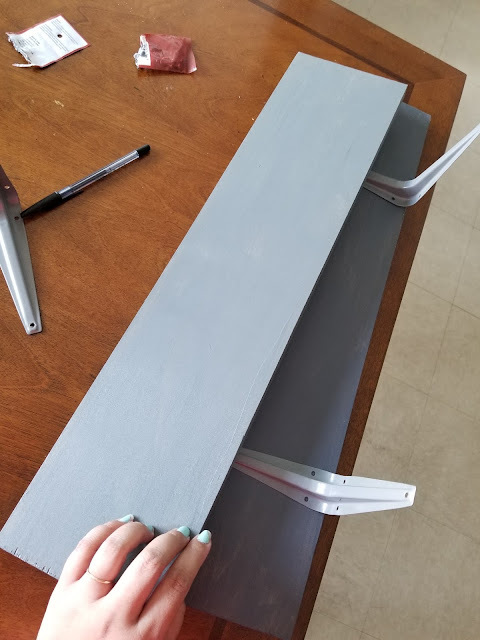 I hope you all like my DIY as much as I did! My bank loved it as well! This all cost a little under $20!